This is the sixth post in our series, Musical Professions, in which we will be taking a closer look at the myriad of careers available to those with a background in, and a passion for music! Many musicians chose to pursue a combination of these musical professions, making them incredibly versatile and well-rounded! Musicology is the study of the history of music. It is a fascinating field, because musicologists require a deep understanding of music theory, and how it relates to the development of different types and forms of music. Musicologists also study the sociological side of history as well; how large changes and upheavals in society shape the artistic output of a particular era. They are also interested in the individual personalities of great musicians and composers and how those characteristics helped to develop the great music which has survived for centuries. 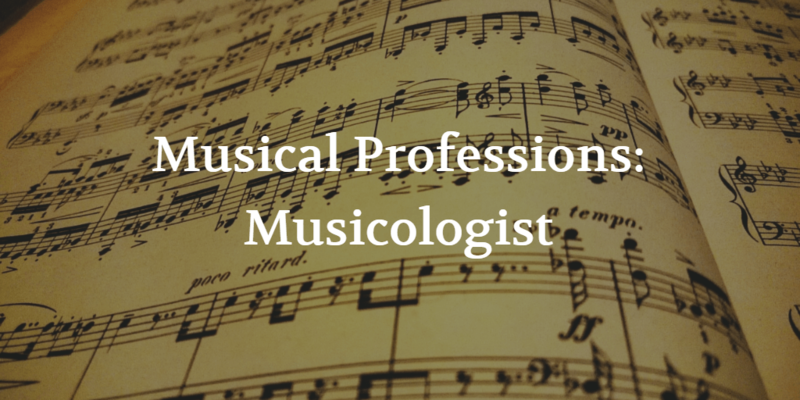 Those who are interested in pursuing a career in musicology generally require an advanced degree in Music; at least a Masters degree, and more commonly a PhD. Musicologists often teach their subject, at the university level, but their expertise are often needed in other areas as well. Musicologists often make excellent critics, and reviewers, and contribute to journal articles and textbooks as well. Have you considered a career in musicology? Tell us in the comments below!